Shohei Ohtani went only one way in his spring training debut for the Los Angeles Angels and got pulled early. The Japanese star pitcher and hitter was scheduled to throw two innings in his start Saturday, but was taken out after giving up two hits and two walks in 1 1/3 innings during a 6-5 win over the Milwaukee Brewers. Angels manager Mike Scioscia didn’t put Ohtani in the batting order. The 23-year-old righty struck out two and his fastball reached 97 mph. He allowed one run, on a homer by Brewers outfielder Keon Broxton. Ohtani threw 31 pitches, 17 for strikes. 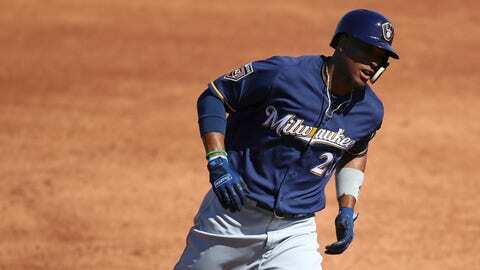 Outfielder Kyle Wren had three hits for the Brewers, while second baseman Jonathan Villar had two.